So, the Driving Test in England, Scotland and Wales is changing on the 4th December 2017, but what does this mean? How will it change and who does it affect? The independent driving section is being extended from 10 minutes, to 20 minutes. During this ‘Independent Drive’, you must drive without constant direction from the examiner. Bearing in mind the whole test takes around 40 minutes, this Independent phase is now going to account for half the total test time! During the ‘Independent Drive’ section of the test, most candidates will be asked to follow directions from a sat nav. Don’t worry, you won’t need to set the route, or be able to operate the Sat Nav. All you have to do is follow the instructions it gives. This means you can practice using a Sat Nav using any make or model. Please note that you can’t use your own Sat Nav on test though, it has to be the one supplied by the examiner. If you’re unsure of where to go after the Sat Nav has given an instruction, you are allowed to get confirmation from the examiner. It also doesn’t matter if you go the wrong way, so long as you do it safely and don’t make a fault. The DVSA have said that 1 in 5 tests will not use a Sat Nav. In this instance, you’ll be asked to follow a set of sign posts leading to a destination. Out go the ‘left and right reverse around a corner’ and also the ‘turn-in-the-road’ (commonly known as the 3-point turn). These three manoeuvres will no longer be part of the test, but the DVSA say that you should still be taught them by your instructor as you may need to do them once you have passed. Your instructor will teach you how to do all of these manoeuvres well, so it won’t matter which one you get on your test. The examiner will ask you 2 vehicle safety check questions during your driving test – these are already part of the current test and are commonly referred to as the ‘show me, tell me’ questions. 1 in 3 tests will still involve an emergency stop. Your instructor will train you how to do this and move away again safely. So, why change the driving test? In a nutshell, it’s all to do with Road Safety. Road collisions are the biggest killer of young people. They account for over 25% of all deaths of those aged between 15 and 19. 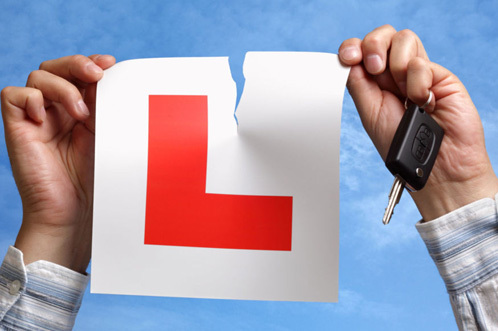 The DVSA wants to make sure that training and the driving test reduce the number of young people being killed and injured in collisions. It’s also clear that they’re introducing more ‘real life’ skill testing with the Sat Nav guided drive and the ‘Show me’ questions, on the move. If you have any questions about the new driving test, you would speak with your instructor in the first instance. Alternatively, you can contact us with any queries on 0800 316 3633 (free from UK landlines and mobiles).